We’ve been lucky enough to have a good few months of trialling the School Run website, and seeing how it can help dyspraxic kids. It’s a subscription-based website aimed at parents to help their kids with school work. 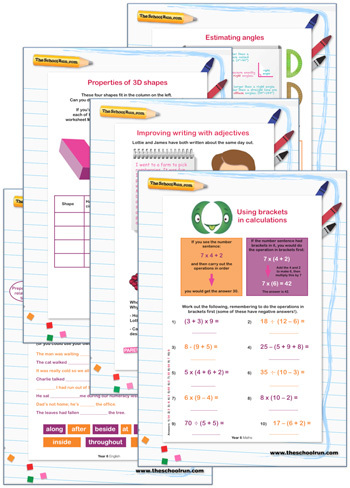 There’s tons of stuff on there to help with homework, handwriting, maths, science… You get the idea. Just tons of stuff, and full of expert advice too. It’s not aimed at kids with SEN, it’s help for all, but we’ve reviewed it with dyspraxia in mind. My daughter is in year 5 (aged 9) and has dyspraxia and learning difficulties, namely dyscalculia. I was particularly keen to try out the handwriting, reading comprehension, and maths help, and I think that’s the area that most dyspraxic kids struggle with. So how was it? I loved all the handwriting help on this site, and I’ve read just about every article, watched every video, and listened to many OTs about how to help with handwriting, but there was stuff on here that was brand new to me. We were particular fans of the pattern playbook. 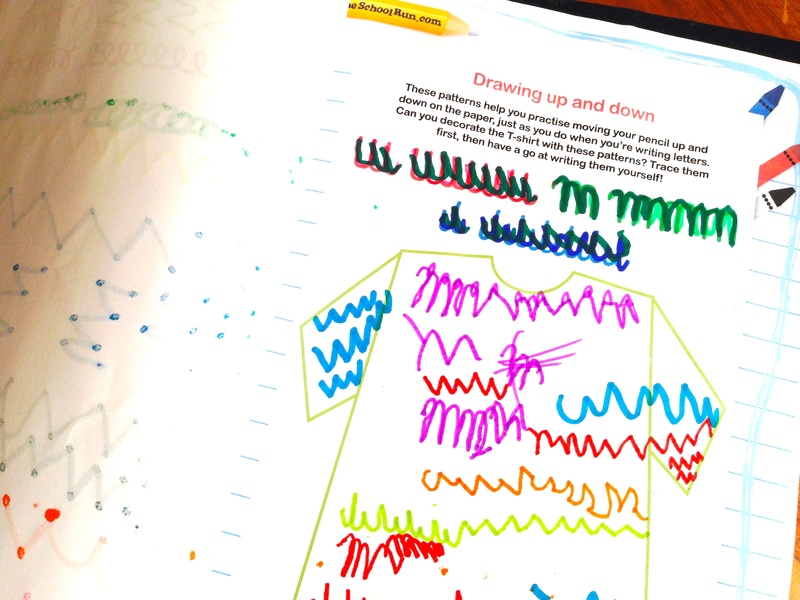 Although this is aimed at young children it didn’t come across as being ‘babyish’ for my 9-year-old and she found it fun–drawing on hair, decorating a cake, making waves etc. It starts off with basics and then builds up the shapes and marks the child is making until you realise that they are starting to do a kind of joined-up writing. Although we didn’t make a huge leap in progress (totally normal), progress was definitely made and there were no tantrums or “do I have to” moments. We mixed it up by using different coloured felt tip pens and it didn’t feel so much like the usual handwriting practice even though it was helping her skills. 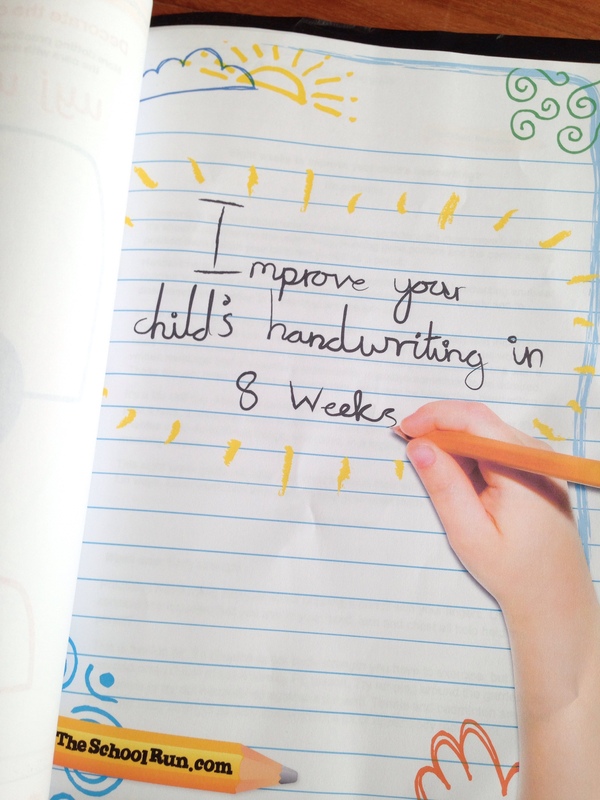 Improve Your Child’s Handwriting in 8 Weeks is a whole approach in handwriting, from doing exercises and sitting correctly, right through to the meaty stuff. There are different tasks each week and there are a lot of worksheets too. There are hundreds (literally hundreds, this isn’t just me exaggerating) of other handwriting worksheets on the School Run website that you can print off and use if you want that too–so if your child is just struggling with particular letters. The advice is from a proper handwriting expert with lots of experience in the field. There are 21 videos on handwriting too. We’ve downloaded at least one sheet a week from the maths area to complete my daughter’s homework. They are so visually appealing, which works very well as dyspraxics are very visual learners. Her teacher has remarked on how well she’s been doing with her homework and it’s not nearly so much of a battle getting her to do one or two of these sheets a week as it was before we had the School Run in our lives. 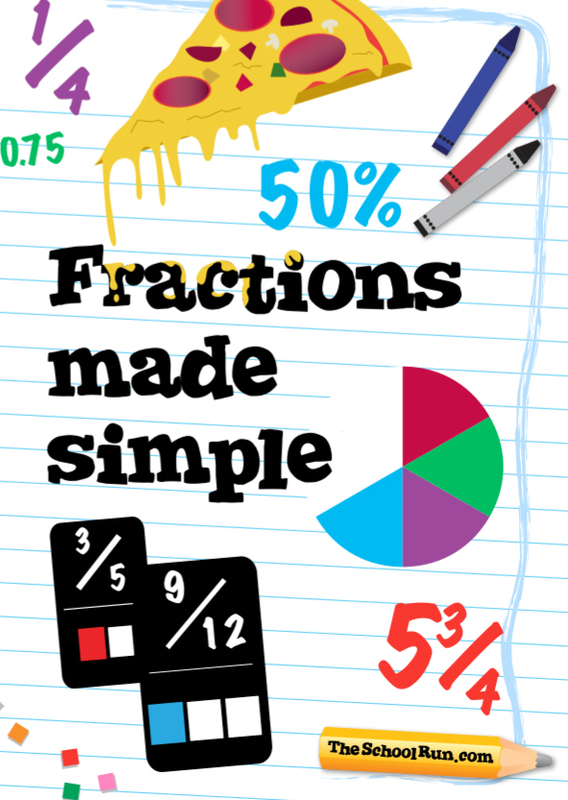 We’ve covered fractions, money, decimals, shapes, and telling the time, and probably more that I can’t remember. 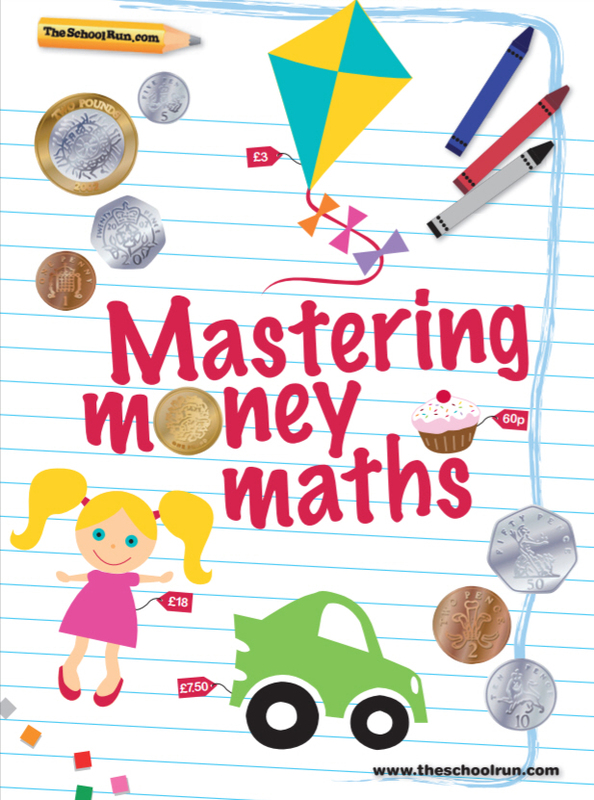 Maths is never going to be my daughter’s favourite subject but these worksheets genuinely make life so much easier. We loved using the pizza from one of the worksheets, along with some of her soft toys to work out fractions. The learning packs on reading comprehension are so good. The stories are interesting, which is always a bonus in keeping their attention in the first place, and there are questions every few pages rather than just at the end when you know they will have forgotten half of what’s been read. The questions vary from just recalling facts to building to the more in-depth stuff that schools look for. 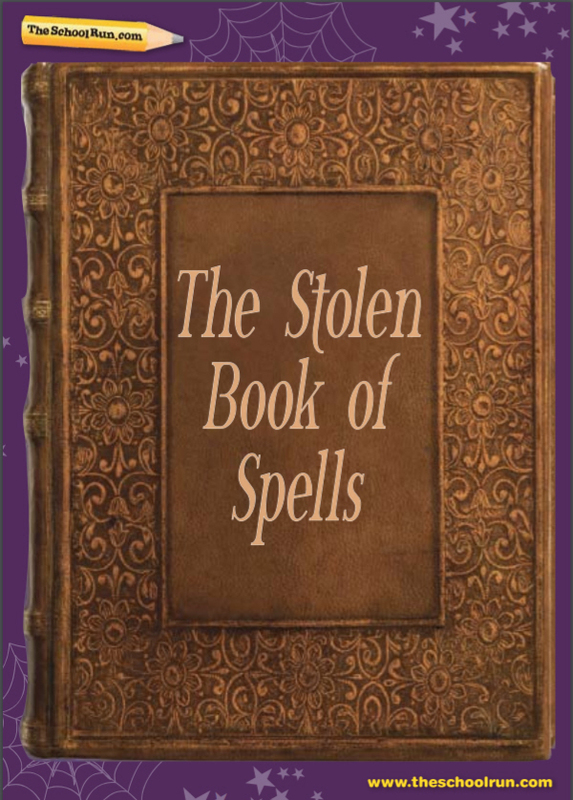 We particularly liked the Stolen Book of Spells, which is one of the learning packs, as well as the Biography of Winston Churchill, which was shorter. Perfect as she’s studying world war two, although it was a little trickier (aimed at year 6 and she’s in year 5) so she needed some guiding through it. I found it hugely helpful having this resource though. Sometimes, as a parent, it’s hard to even know where to start. There is also a learning pack of resources and support for dyslexia. There is just so much stuff on the School Run website that it would take me a week to write a more comprehensive review. I feel I’ve barely scratched the surface. For example, you can access weekly learning journey emails, which are also pretty cool, aimed at your child’s level and with accompanying certificates to motivate them. I must also confess to loving the pages aimed at parents to explain terms to us that we really should know :/ I had no idea what a pangram or calligram was! There are also lovely and genuine articles to read on all areas of SEN, including dyspraxia, as well as other areas we worry or wonder about, such as the transition to secondary school. We also loved the Homework Gnome to help with other subjects like history 🙂 And those with kids in year 2 and year 6 will love all the SATS stuff on there. Past papers, eBooks, and all sorts. Oh and there’s videos and interactive stuff too, it’s not just worksheets. See, I told you there was too much! You have to ignore the recommended ages and years and not be upset about that your older child may be more suited to younger-child work at this stage. This isn’t the School Run’s fault, it’s just what the average child is capable of and we need to just not worry about that. Progress is progress and we knew our child wasn’t average anyway. Find out from your child’s school what they have been working on and what sort of level they’re at so you can print off appropriate sheets for that week’s homework. You can always chop off the bottom of the worksheet that has ‘year 1’ (for example) printed on it if you think your child might be upset by it. Give it a go for a few weeks and make the most of everything they have to offer before you decide whether to sign up for a longer subscription. I found it was well worth it, and will be renewing for sure, but definitely take the opportunity to try it out and see how it works for you. You can sign up for less than £2. As I just mentioned, you can try the School Run out for two weeks for less than a couple of pounds (£1.97 to be exact) and get an idea if it would suit you and your child or not. I can highly recommend it, as you can probably tell, but everyone is different. Two pounds is less than most kids’ magazines so it’s worth taking a look. You can also sign up for longer periods of time, which is what I’m about to do. It’s £39.97 for six months or £59.97 for an entire year (so only about a fiver a month). I think it’s worth it to cut out the homework stress and to try a different approach to improving handwriting. DISCLAIMER: The School Run gave us a complimentary subscription for six months so we could try out the services and have a suitable amount of time to write a fair and honest review. I was not paid for writing the review and I do not earn a commission if you purchase a subscription. The opinions expressed in this review are entirely my own and I will be renewing our membership at my own expense.